Case in point, SiLabs for one could not get it right - I have reasons to believe that the CP2102N that I had to replace is secretly an LPC microcontroller in bubblewrap. No, unless you're using LPC in a generic sense instead of referring to the Philips/NXP ARM product line. 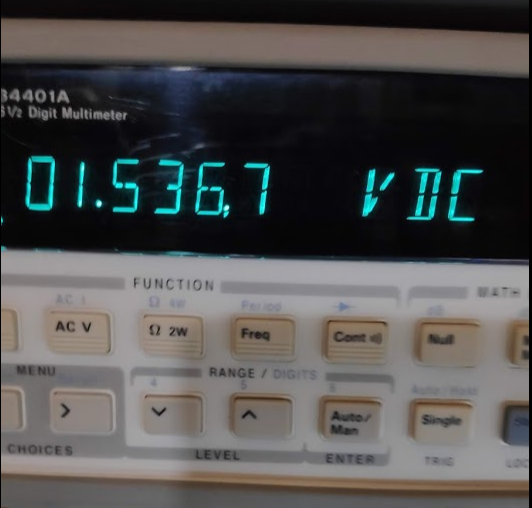 There's strong evidence to suggest that the CP2102N is a pre-programmed EFM8 which would make a lot more sense as they are both from Silicon Labs. I was actually referring to the specific manufacturer devices, but you are probably right. My main point though was that even this "hardware" bridge is just a pre-programmed uC, and I wanted to show that developing something like that is not that trivial, as even a big silicon company like SiLabs wasn't able to get it right, even though their possibilities (both in budget and testing) are obviously way greater than of a lonely hacker's. On a different note: It seems I didn't get into the Mailbag video, but I'll hope for the next one Either way funny to me that Dave tested only two gadgets in the current video. Probably because testing the USB scope took up most of the time budget. Would you share the information how the deal with the enclosures turned out? We managed to obtain a used mold and modified it for the muArt's enclosure. It cost me about 2.2k$ one-time, plus the cases are 0.6/piece at an MOQ of 1000. These are solely production costs. As for tec4data's engineering services, we'll work together on other projects (bartered). There have been some delays for both the PCB- and one of the cable manufacturers. The other stuff have already arrived to me and I'm only waiting to receive these last two components, then I can ship. I am planning a project update this week to inform everybody about the current status. I picked up my µArt at the post office (it actually arrived a few days ago, I just didn't get around to visiting the post office earlier) and gave it a quick test run now. I brought up the serial console of one of my Raspberry Pi's that was sitting on my desk anyway for an experiment. 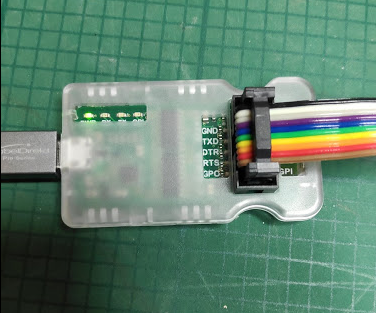 Well, I'm happy that the µArt comes with reverse polarity protection etc., because I misremembered the Raspi's pinout and promptly connected µArt GND to the Raspi's 5V pin. Whoops. The clever PWR led wiring made it immediately clear that something was wrong though, and as expected both the Raspi and the µArt are unharmed. As far as actual usage is concerned, it's plug'n'play, at least on Linux. 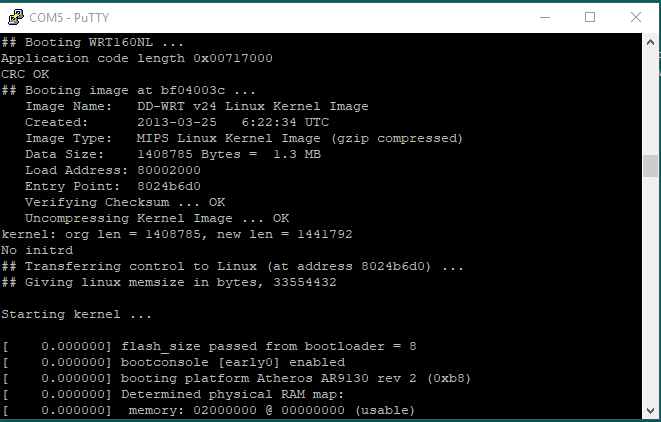 But even on other OSes, if you bought the µArt, chances are you installed the FTDI drivers already and it'll just work as well. Connecting the GPI pin to a LED was clever, since that works without any software magic, giving you an additional indicator for some random output pin on the DUT. What I'd like to have seen is an additional LED for the CTS pin (maybe inverted). The included breakout cable is labelled with heatshrink tubing which is nice; I particularly like that the directional pins have arrows on them indicating the data direction. This removes any ambiguity about whether "TXD" means the host's TXD, or the device's. There's a second jumper cable included, although I'm not sure what the point is there. It's a male/female one, which means it might serve as an extension for the breakout cable, *shrug*. A male/male cable would have made more sense to me, for use when the DUT has female pin sockets instead of pins, like, say, and Arduino. The USB cable is nice but overkill. It comes with extra wide power wires, metal grips and even two velcro cable ties. A cheaper, more simple cable would have worked just as well for this application (and maybe better if the thinner cable is more flexible). But I guess pylo wanted to create a high quality product (and he did! ), so including a high quality cable was a matter of pride. I can see why pylo is very happy with the case, it turned out very well. But... is there a way to open it without damaging it? As far as I can tell, the tiny thing is held together by 15 (!) rather strong plastic clips, and you need to press down on many of them at the same time to open it. Of course, there's no real need to open it, but still, I like to inspect my hardware. And an idea just came to me: I have an old JTAGkey2, made my Amontec, but of course they went out of business in 2012, so you can no longer get them. I like the device because it's inexpensive but fast enough to be useful. 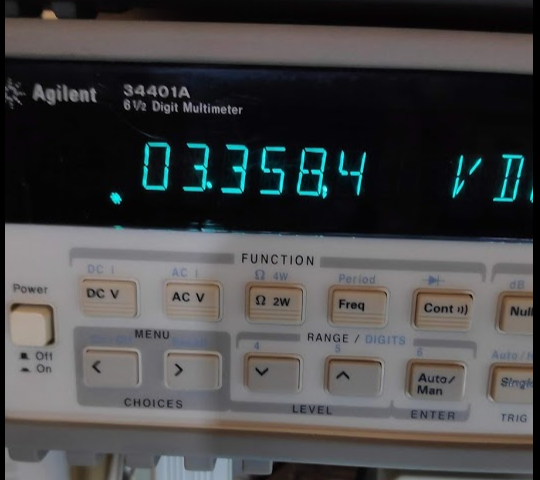 I believe it uses the FT232H chip. So how about a µJTAG-Adapter with the same style and design philosophy as the µArt? I'd buy it! Hi Maxlor, thanks for your review. Of course there is a way to open up the case without damage, I promised that didn't I? Don't start tinkering with each of the tiny plastic clips, instead all you need is a slotted screwdriver. It is kind of hard to see because of the transparency of the enclosure, but above each triplet of clips, there is a horizontal slot (see attached picture). These were made so that the case can be opened. Insert the screwdriver into one of these slots, then twist it slightly just enough to pry the three fingers below it loose. Then repeat carefully for the other 4 slots and the case is open. 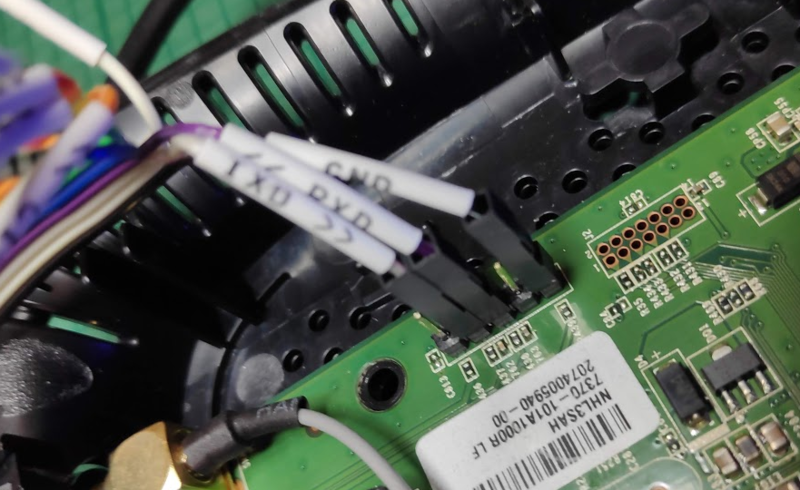 EDIT: The purpose of the second jumper cable is to connect the device to female headers. It is not meant to serve as an extension to the squid cable (though it can surely work like that too if that's what you need), you'd use use it in place of the squid cable instead. Ah, gotcha. I managed to open the case without damaging it. Indeed, I hadn't noticed those slots before, they work as intended. As for the M/F jumper cable - eh, I guess you're right, but you're not meeting the standard you set for yourself there, seeing how it doesn't have a 2x5 connector attached, nor labelling. As it is, I'll prefer to attach M/M jumpers to the F/F cable to gender change it, that way I can make use of the labels and keyed connector. But whatever, it's a small thing, don't worry about it. All in all, congratulations on doing a successful campaign, on time (almost) and on budget (I assume), and shipping a quality product. You made it look like you've done this before a 100 times. So is there anything you'd do differently with hindsight? My thinking was that the kit is more flexible this way. 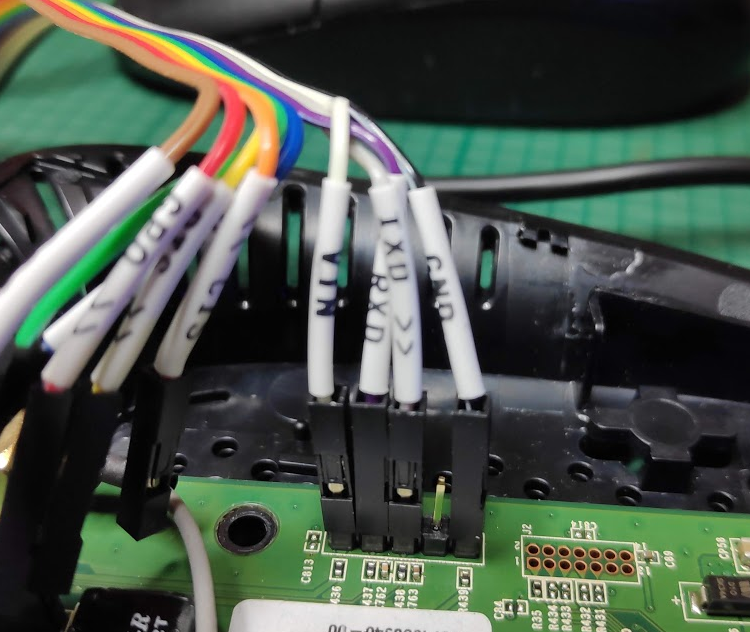 By also putting a cable into the kit that doesn't have the 2x5 connector, you get the option of not occupying all the pins of the µArt, so some of the pins can go to a different direction on your bench, or with a cable of different length, etc. 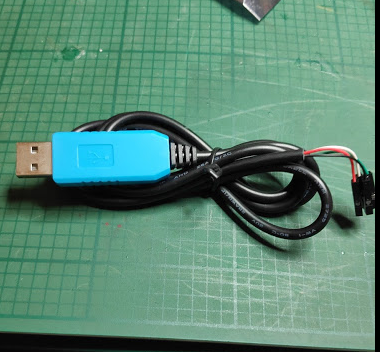 And once there's no 2x5 connector, I do not see the use of labels (as the other end of the cable can still be easily mixed up - in this case instead of looking at labels you just need to follow the colors through, which imho does the same job only better). But we are getting into very subjective territories here. But I can totally see your point too, that this might give the wrong impression. Do you think it would have been better to make the F/M-cable a labelled squid too? If the majority of people prefer it that way, I can make this change for the next batch. Most importantly, I realized I need to keep even more control over my suppliers, that one's for sure. I also need to improve my marketing (how to bring in users). I had a couple of sites report of the campaign while it was active, but I actually notified a lot more, so I wasn't very effective. As for communication towards backers, I think I did pretty well, but I might not be able to write this many updates for every campaign. I was lucky this time there was an abundance of topics, but I've got a couple of future projects in my head, and I'm not sure I'd be able to find this many things to write about for most of them (well, the proof of the pudding is in the eating). Btw, I'll mention these in the upcoming update too, but tbh it is a bit too early for me to draw final conclusions. I'll only really know for good once everything's settled down, until then the project is not quite over. As for reducing the update frequency during the campaign, I wouldn't mind. The number of updates was on the high side of what I'm willing to read. Anyway, looking forward to reading about your next project! Mine arrived yesterday.. Looks nicely built. Got mine today, but the delay was due to the postman putting them in my neighbours malbox (and he was away). Today all remaining orders got shipped (all those that couldn't get shipped in December, and orders gathered since then). You should receive your shipment notification from Crowd Supply within the next 2-3 days. New orders starting from Jan. 18. will be shipped by Crowd Supply as soon as they receive their stock. Happy µArt'ing everybody, and thank you all for your feedback! I'm happy I involved you before the campaign, the µArt would look very different today without the EEVblog forum. 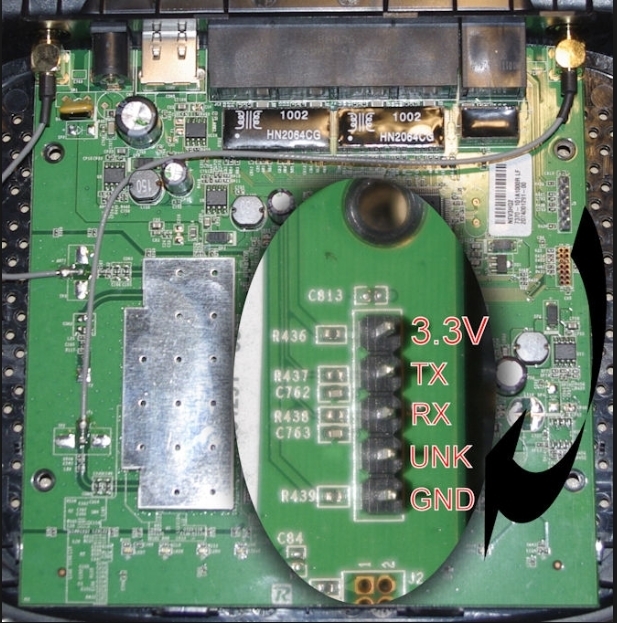 For particular (isolated) uart adapter TX, RX and GND connection is not enough. VCC shall be connected/supplied as well. In your pictures, it seems you connected TX/RX wrong. E.g. 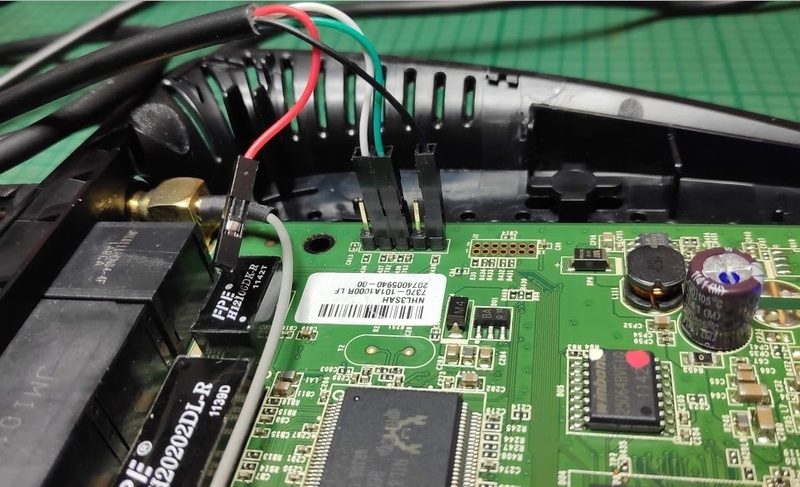 you connected the µArt's TX to the Linksys's boards TX, but correctly TX should connect to RX and vice-versa (unless this router is one of those with unusual and insane "swapped" RX/TX labeling). There's one more thing that you might need to change. 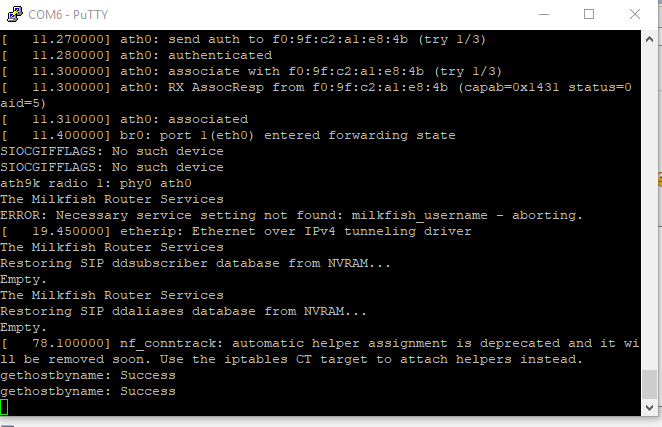 DD-WRT does not use software handshaking, but the default setting in putty is XON/XOFF turned on (and I assume you use the default serial settings in putty). So this configuration is actually wrong, and while things might seem to work now, it will bite you later depending on which software you start in your console, for example, screen or nano will give you problems. So if you didn't already, turn off XON/XOFF in putty (Set "Flow control" to "None" under Connection->Serial). In general, with any serial converter really, be sure to always match the Control Flow setting of both your PC and embedded device. I like to point this out with putty since most devices don't use software handshaking, but it is enabled by default in putty. Just letting you know that I haven't received my muArt from CrowdSupply, yet. I put an email into them yesterday but I still haven't heard back. My tracking says only that it was sent by unregistered mail on Jan 22, but so far nothing has come through. I know there isn't much you can do for me because CrowdSupply is the ones who ship it, but just wanted to keep you informed. Seems like they skimped pretty heavily on the shipping if i can't even get a tracking number. Hi! This wasn't Crowd Supply, if you've got your shipping confirmation, then it was me who shipped it (CS has not yet received their stock yet). It is true there is no tracking number, though if I may say so, it wasn't me who skimped on it. Every backer had the option to choose registered or unregistered shipping during order, and it was pointed out on the main campaign page (as well as multiple times in various updates too), that you need to choose registered shipping to get a tracking number. Anyway, don't worry yet. I see you are located in the US. For some reason US (and only US) shipments are taking veeery long, which nobody anticipated. As an example, when the first shipment in December went out, some people in Australia received it within a week, most around the world within 3 weeks. Except for US locations, they only started getting the packages after 3 weeks, and I still got confirmations from people who got it early this week. As for the reasons I can only guess, my best bet is a mixture of government shutdown and the New Year rush (leftovers/overload from the Christmas season). Both of these should be over now so I very much hope you won't have to wait 5 weeks, but customs are yet again overloaded due to the Chinese New Year, so no guarantees.